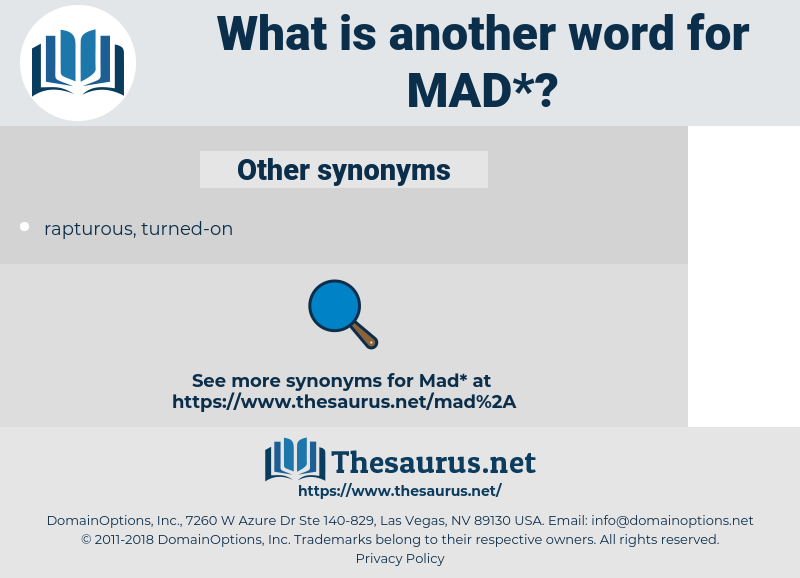 What is another word for mad? at end of one rope. DER, furious, pissed, demented, annoyed, enraged, foolish, irate, ridiculous, amazing, lunatic, berserk, brain-dead, nuts, rabid, loony, irritated, livid, displeased, psycho, absurd, frantic, screwy, stupid, hysterical, senseless, mindless, certifiable, wacky, weird, silly, excited, bad, sad, nonsensical, incredible, nutty, sore, idiotic, awesome, paranoid, stir-crazy, delusional, outrageous, unbelievable. ok, reasonable, sensible, balanced, calm, disenchanted, unenthusiastic, Cheered, sane, rational, happy, sound, wise, collected. unperturbed, prudent, good-natured, undisturbed, accommodating, quiet, sapient, casual, unangry, temperate, cordial, delighted, moderate, affable, judicious, empathetic, friendly, relaxed, content, untroubled, obliging, pleasant, serene, peaceable, amicable, sage, complaisant, placid, valid, well-adjusted, accepting, agreeable, good-tempered, sympathetic, unneurotic, satisfied, well-advised, healthy, subdued, tame, easygoing, genial, sweet, pacific, tolerant, sagacious, kind, clear, amenable, amiable, tranquil, understanding. 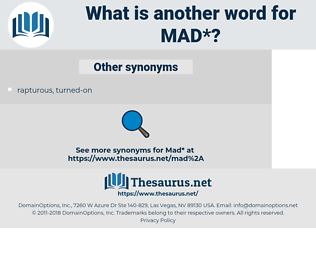 No, sir, he said, not mad I think. Do you not see that he was gone quite mad? manihot, monet, manteidae, mount, mitt, myoid, may day, mediate, minute, midi, matthew, momotidae, manat, moat, mate, meat, mammutidae, muddy, meadow, motet, montia, moth, mint, mott, monnet, mind, motto, mantua, mote, manatee, mated, matted, miniate, manumit, Mutawa, maid, madia, medea, maidhood, manhood, mammoth, moment, mend, moody, made, maidu, Mahdi, moiety, mentha, muted, monied, man-made, mot, manidae, manet, method, mt, mod, moot, meted out, math, mimidae, maundy, MDI, mood, monument, meaty, Mohammad, myth, manhunt, monad, mound, menotti, minnewit, mounted, mandate, muddied, month, manteodea, mat, moneyed, middy, mountie, meade, minutia, matte, mantid, mediated, mete out, mead, MADD, monday, manned, mahomet, manta, mouth, muhammad, matt, mande, mined, minded, mode, Mete, manda, maenad, mite, minuend, midway, monod, mit, meth, mud, mennonite, mid, mediety, memento, mut, mamet, maund, midday, mahound, mayweed, meditate, monody, moated, minuit, mutate, meed, matai, mute, md, maimed, mahout, mantidae, munda, mammut, mohammed, mutt, Mothy, metadata, med, momot, meet, minuet, matey, monte, mayday.